When the icons show UNIX on them, they have lost their connection to the parent Application. As you found out, most apps will still recognize its own docs, but some don't. If you know the file type, like a JPG or a PNG, then do this and make sure you have to correct format before starting. Click once on a graphic file. Choose Get Info from the File Menu. Make sure you know the exact file format for this file only. Choose the Open With ... section and click on that popup menu to choose an application. For instance, a JPG/PNG graphic will open in Preview. Choose Preview from that Menu. Also check the Change All... button (or checkbox) to make all documents of this type the same. 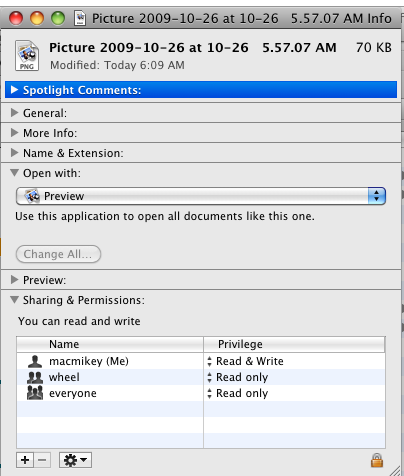 This will immediately change the icons for these documents to the correct icon for a Preview Graphic. What about the leaky files? I'd like to help... but what do you mean by leaky files? That is not a term I have ever heard before. How did you convert the Unix executable to a .MOV file?